Once again, these aren't as good as other brands, and the legs didn't want to install into the upper rack. Had extra plastic hanging off to keep from going into the connection. Had to get a nail file to sand it down. Cracked at the top when got it all together without any force. Only will hold very lite objects to keep from cracking more. Looks like it will be what I need. I will give feedback when I receive. The size, material, and price. Trying to get kitchen pantry organized. It is plastic,so it will not rust in the bathroom. To organize things under the sink. 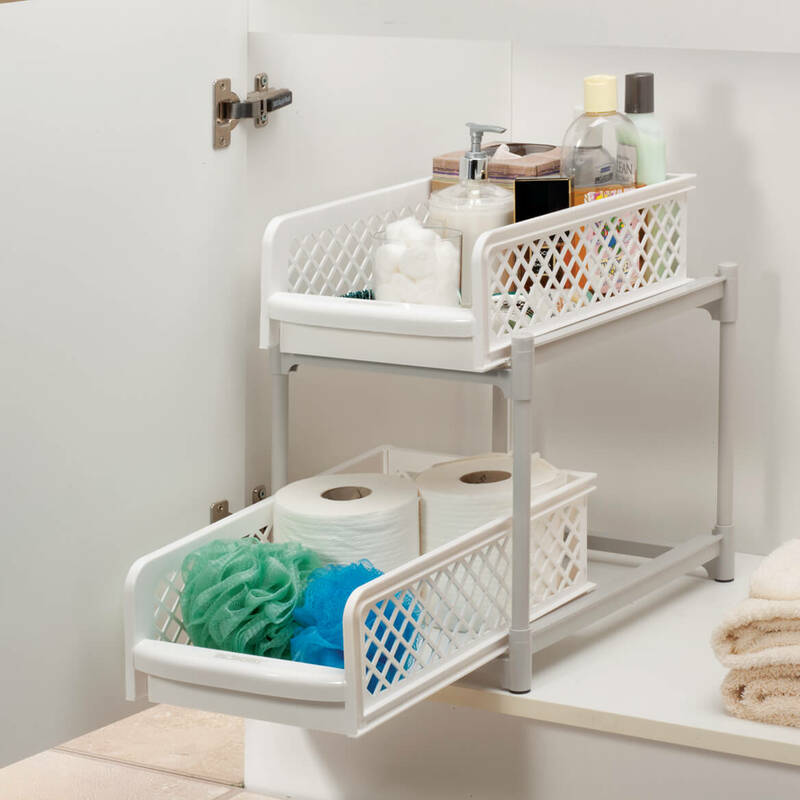 We need a shelving unit for the cabinet underneath our bathroom sink to de-clutter & better organize! Looks like it should fit into bathroom cabinet. 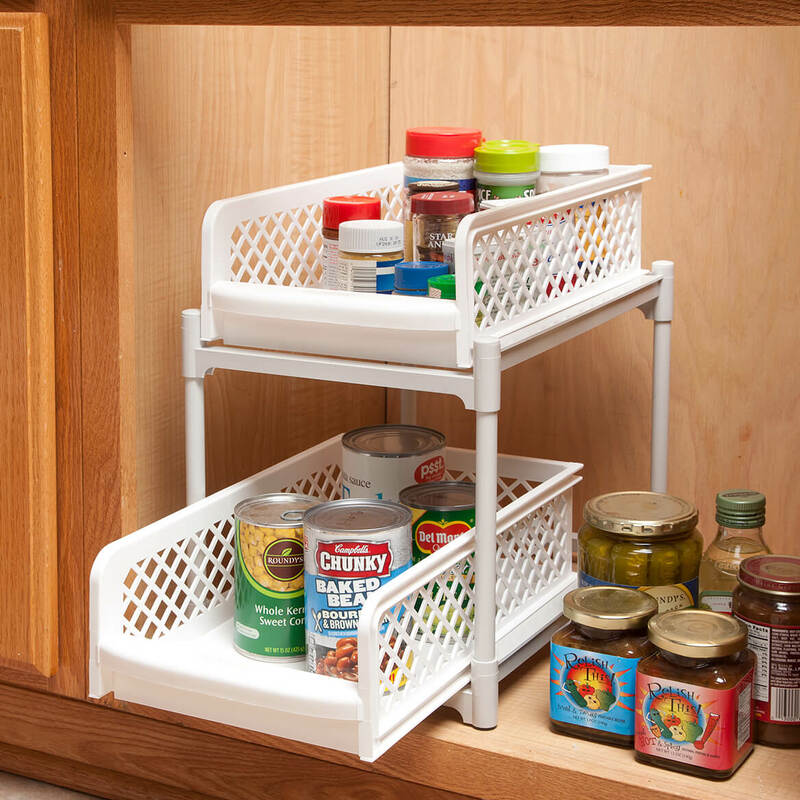 Keeps order in cabinet, easy to reach items. 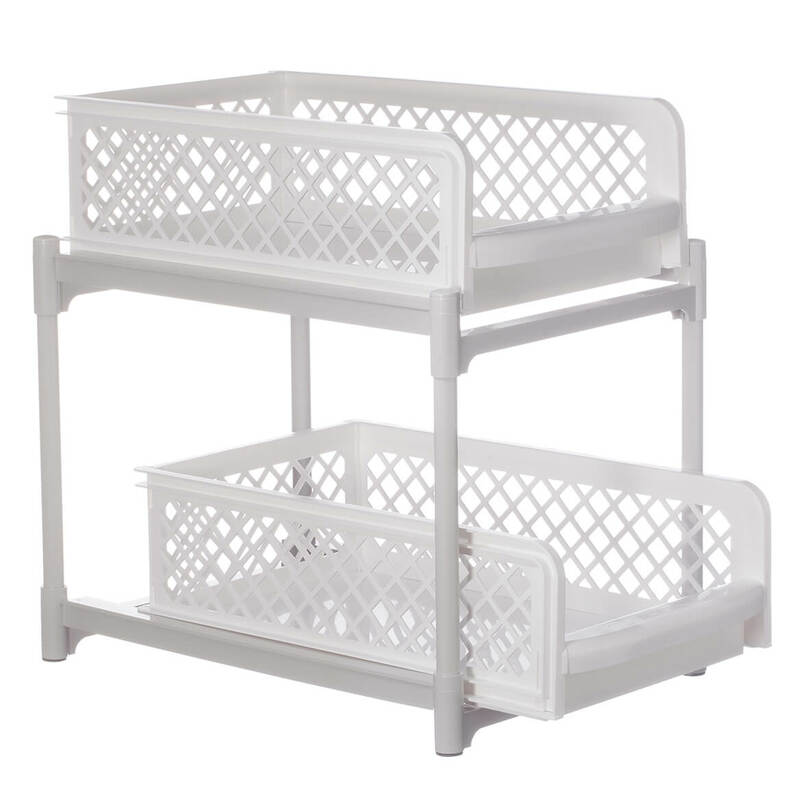 this item will give me double the storage space without taking up extra room as the shelves are stack-able!!! I ordered to keep items under my kitchen sink organized. Can you stack another 2 shelve unit on top of this one, for a total of four shelves? BEST ANSWER: The rubber bottom rubber feet and the top plastic cover can be re,moved. So, to answer the question--yes another shelf unit can be planed on top. Weight consideration would, I think, be the next question.